As an employee of the Milwaukee Stockyards in 1953, Les Leonard began a career as one of Wisconsin’s pioneer farm broadcasters, broadcasting the Milwaukee Livestock Market Report part-time. He moved to doing that report full-time in 1955. In 1973, he became Farm Director for WISC-TV, Madison, and hosted that station’s noon agricultural show, while also establishing a state-wide radio market report for Equity Co-op Livestock Sales. In 1976, Leonard moved to Goetz Broadcasting as Farm Director for that company’s six Wisconsin radio stations. He later developed programming to serve other stations and the Goetz Farm Network was formed, eventually serving over 40 stations with daily programming and special network reports from major agricultural events such as World Dairy Expo and Farm Progress Days. In the 1980’s Leonard created and fostered the “Auction of Champions”, an annual event which auctions off the Grand Champion Steer of the Central Wisconsin State Fair, with proceeds of nearly a quarter million dollars to date going to the National Farm Medicine Center in Marshfield. 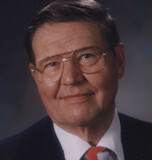 Leonard received numerous citations for his broadcasting efforts and service to Wisconsin agriculture, including honors from the Wisconsin Agri Business Council and the Wisconsin Cattleman’s Association. Les Leonard passed away on February 17, 2016.